Offer your patients Legend Pro’s synergetic technologies, providing endless options for personalized treatment plans, targeted at answering the specific needs and desires of each patient. 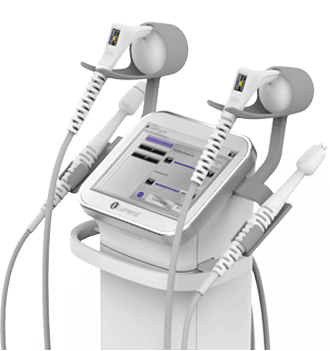 Legend Pro’s clinically proven technologies work in synergy to achieve the results you and your patients seek. Activating the body’s natural healing processes by applying RF-assisted ultra-thin electrodes to thermally ablate the epidermis, creating micro channels to induce controlled micro wounds, thus encouraging the generation of new and healthy skin. 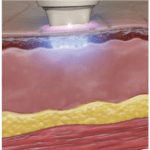 Legend M²™ unique synergized treatment combines the macro volumetric heating of tissue with TriPollar® RF and the precise micro heating of focal points with VoluDerm™ RF assisted ultra-thin electrodes. Treatments with Legend M²™ reaches multiple layers of the skin introducing a wide range of solutions for skin resurfacing and inducing regeneration as well as wrinkle reduction. Thanks to the unique technologies behind Legend Pro, patients experience minimal pain and downtime during and after treatment, without the need of numbing cream before the treatment. The desired results are promptly visible. Indications include: skin resurfacing and treatment of mild to moderate wrinkles and rhytids.